Since 2014, Venamicasa collaborates with European schools and agencies in the matter of mobility projects, promoting strategic partnerships in the field of education and language learning within the framework of “Acción Clave 2” of the European program “Erasmus Plus”, making education and vocational training projects in Spain a reality through internships and linguistic stays for European students who are enrolled in vocational education or training. Venamicasa offers a linguistic and cultural full immersion stay in Spain with Spanish host families during the period of stay of the students of the Erasmus + program. 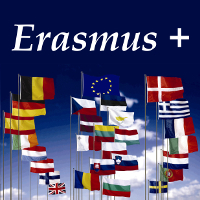 The European Parliament has approved the program Erasmus + for 2014-2020, starting January 1, 2014. The new Erasmus + program forms part of the strategies for “Europe, Education and Training 2020″ and for “Rethinking Education”. It encompasses all European initiatives for European education and training. In educational material it includes all levels: scholastic, professional training, higher learning and adult training. This new program is centered on formal and informal learning beyond the borders of the EU, with a clear vocation for internationalization, opening itself to countries outside the EU with the objective of improving the educational and training skills to provide better employment possibilities for students, teachers and workers. Erasmus + will therefore integrate with the programs of Lifelong Learning -LLP. Erasmus+ brings together seven existing EU programmes in the fields of Education, Training, and Youth; it will for the first time provide support for Sport. As an integrated programme, Erasmus+ offers more opportunities for cooperation across the Education , Training , Youth , and Sport sectors. Residents from member countries of the Union which includes citizens from Norway, Iceland, Turkey and Macedonia. Key action 1 promotes the mobility of individuals for the purpose of learning, supports projects of mobility in the field of scholastic education and training, professional training, higher learning and adult training. Both individuals and educational institutions can apply through its educational center. • Training courses for teachers of Spanish as a Foreign Language. • Spanish courses, either general or in preparation for the DELE. • Specific courses for closed groups (universities, institutes or adult education centers).